The college bowl season is nigh! 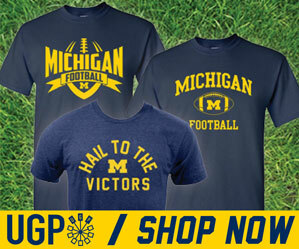 And for us Michigan fans, this year is especially fun because we get to play in one these fancy bowl games again. So buckle up folks, it's time for our annual MBN/Moe Sport Shops Bowl Pickem! First of all, some recognition for our regular season winner... my father-in-law, Phil, for taking home first place for a second time. I can't prove anything, but I'm pretty sure he's cheating somehow. Anyways, as always, the good folks at Moe's/Underground Printing are offering gift cards to the top 3 finishers. Interested? Good. All you have to do is go here. Make sure you're logged in to your ESPN.com account. Click on "Join Group". The group password is hail2016. It's a normal bowl pickem setup. 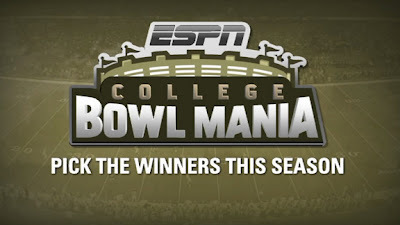 Just pick the winner of each bowl game, rank them by confidence and you're all set. Bowl games start on December 19th, so you still have plenty of time to get your entry in. Any questions, just let me know in the comments.